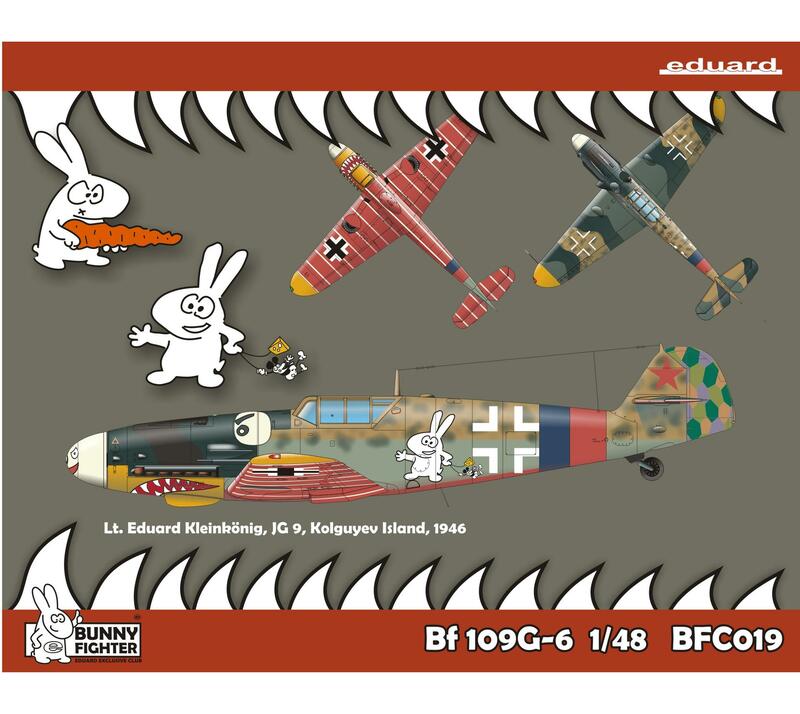 Activation product of the Bunny Fighter Club membership (www.eduard.com/bfc). 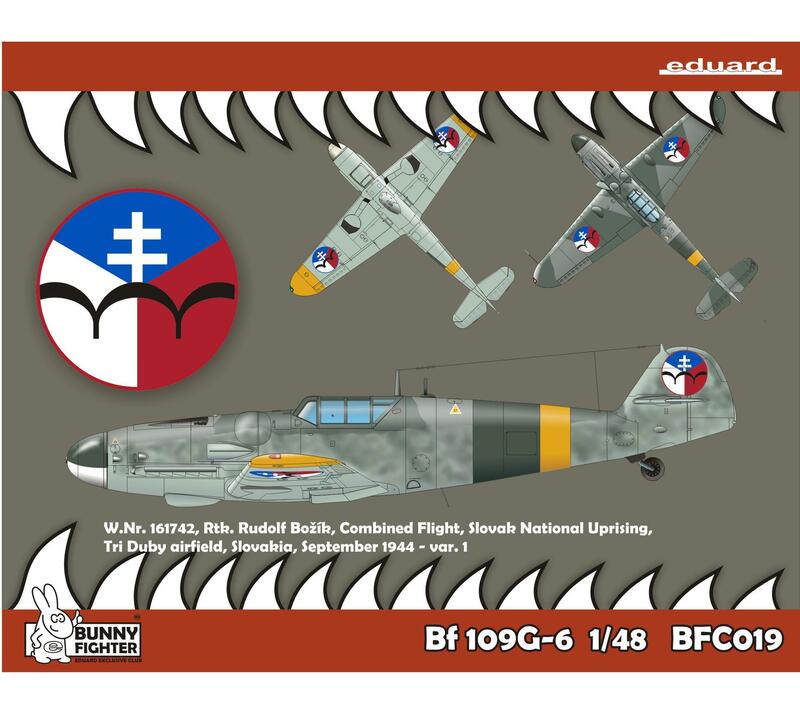 This item is available also to already registered members of the BFC. 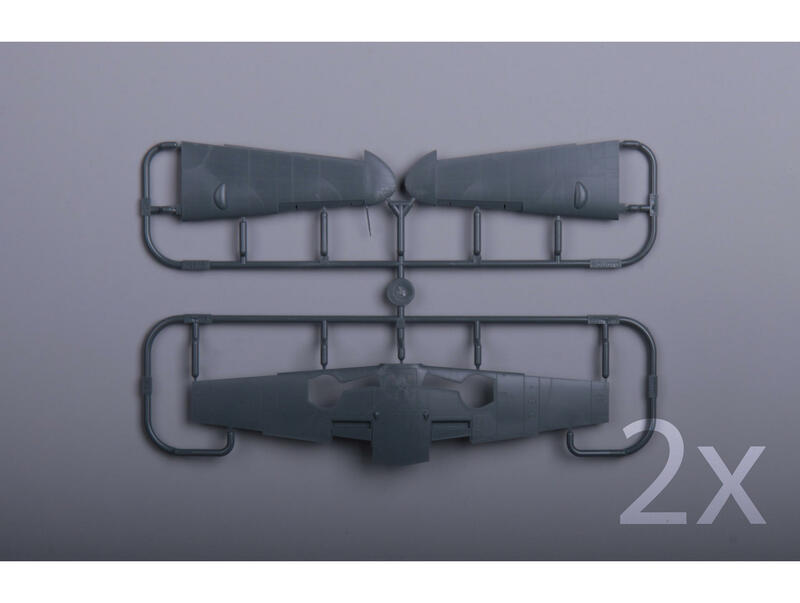 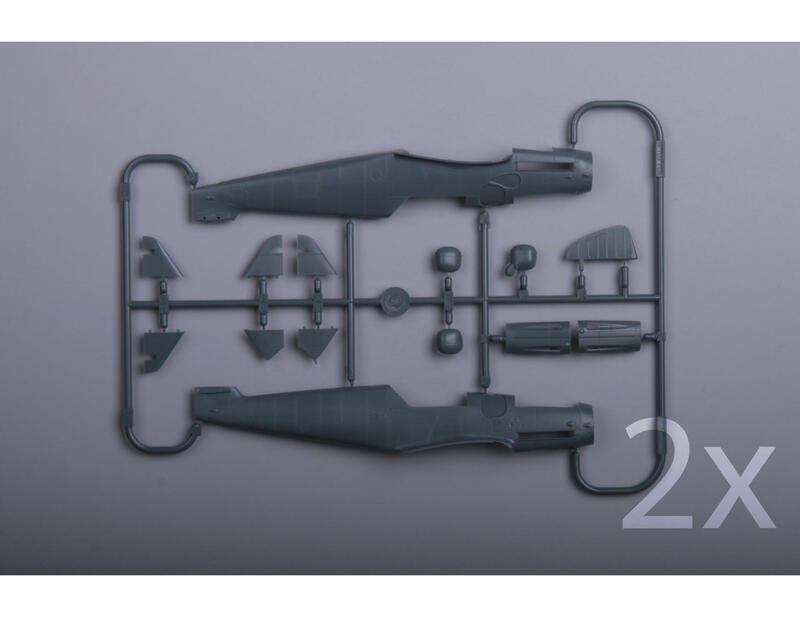 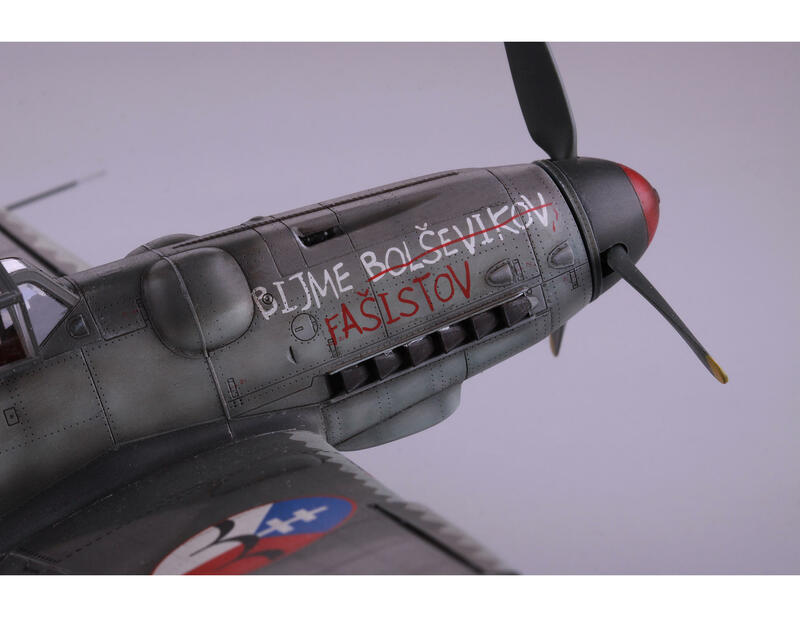 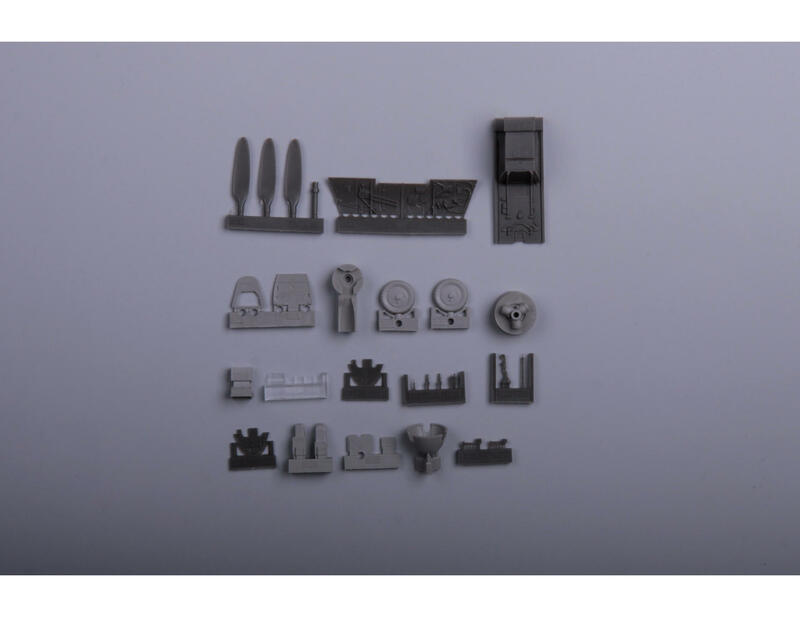 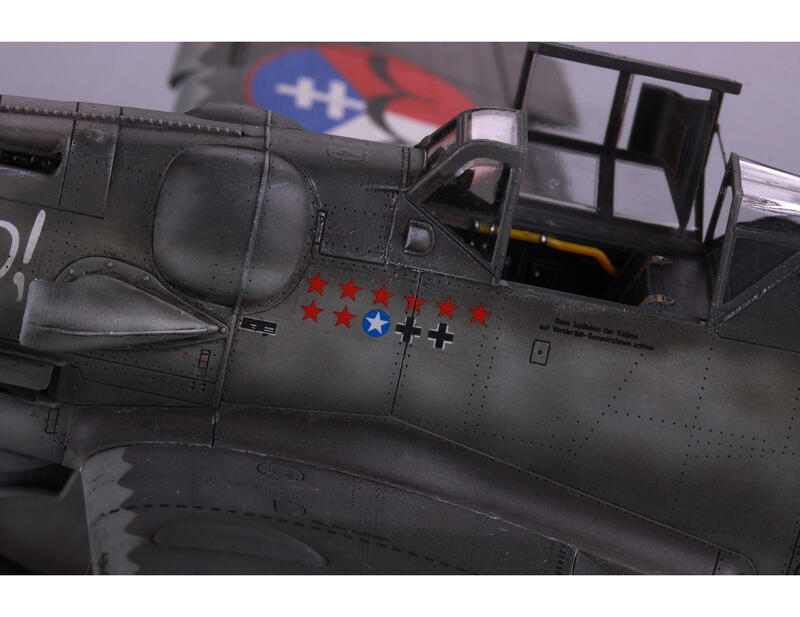 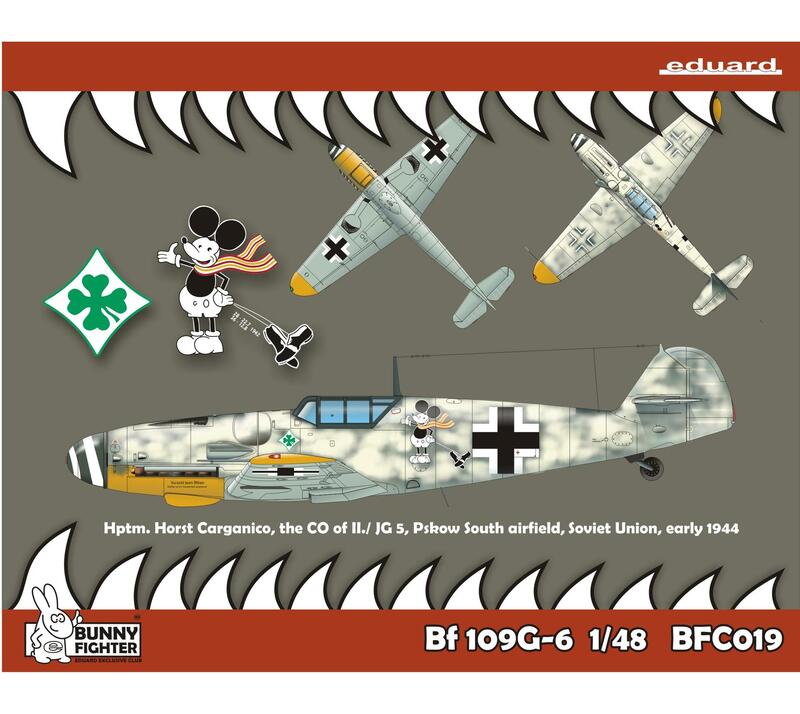 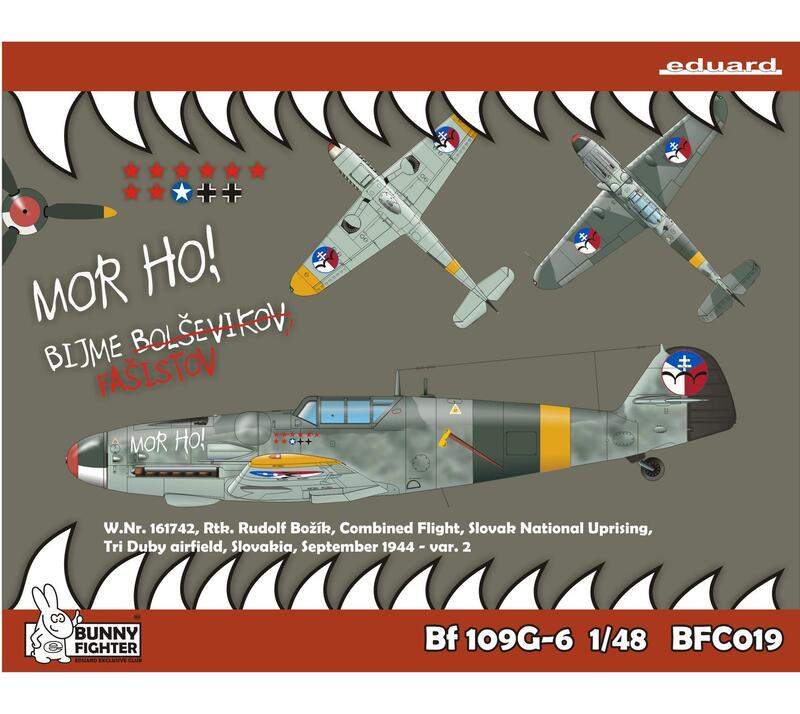 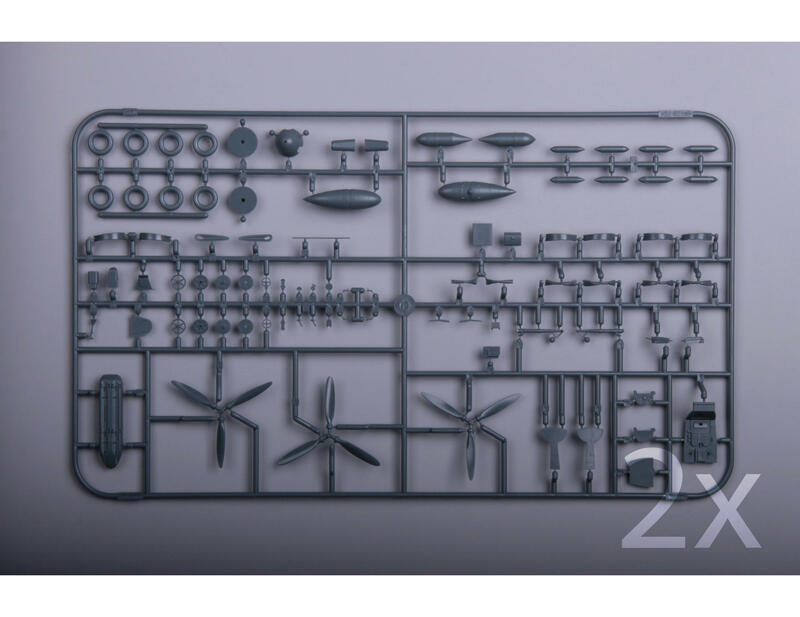 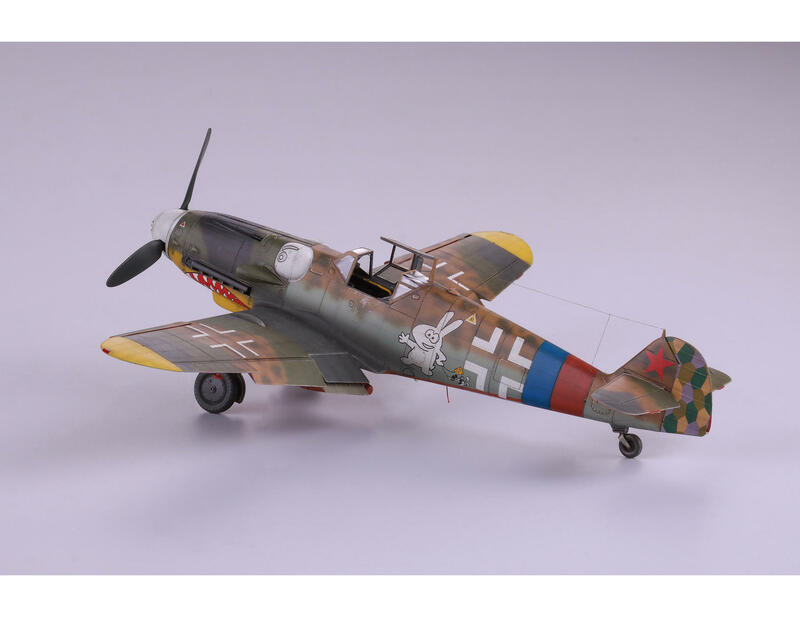 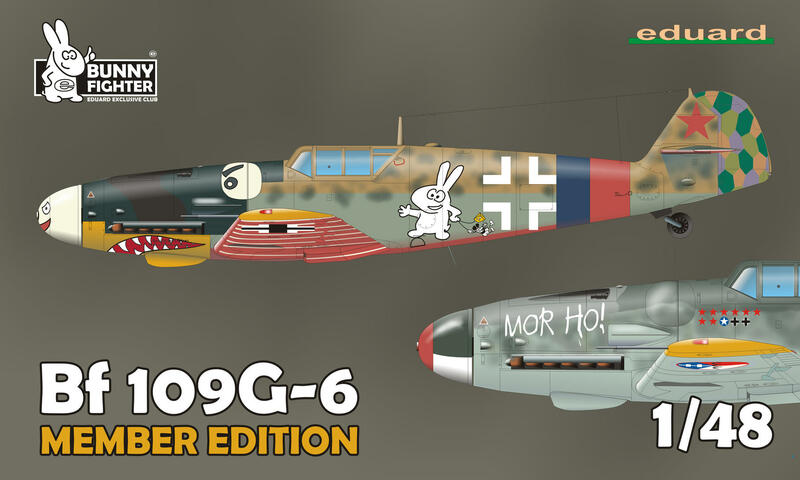 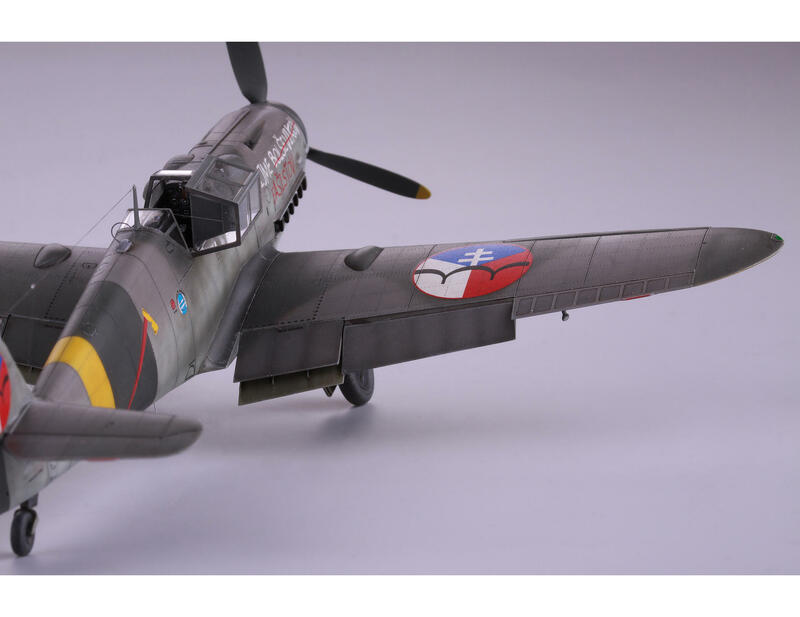 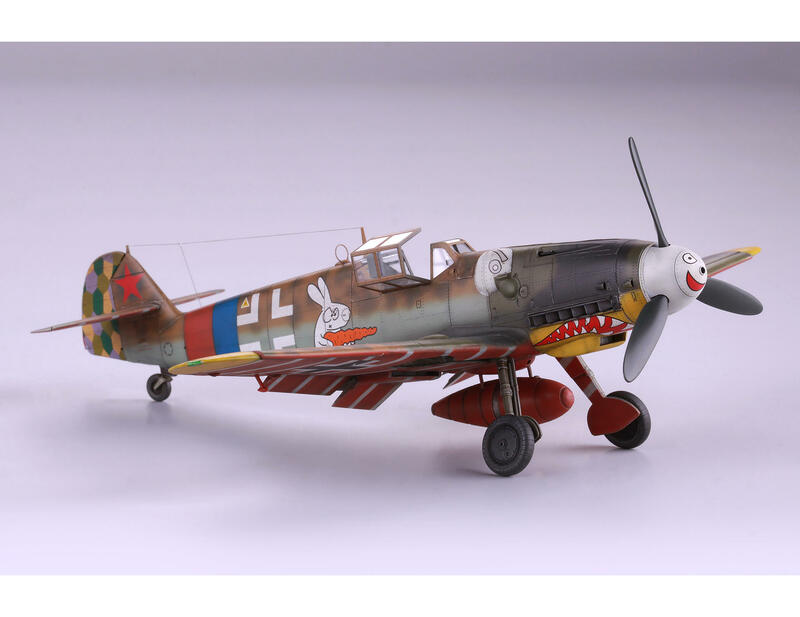 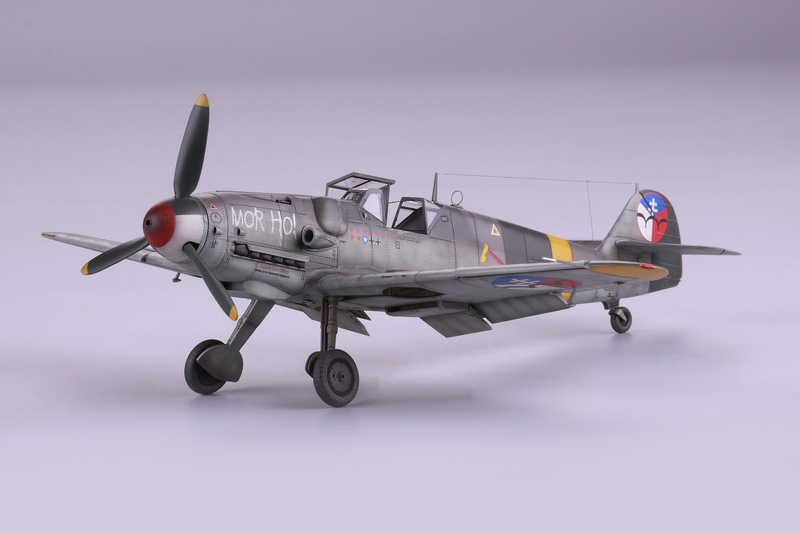 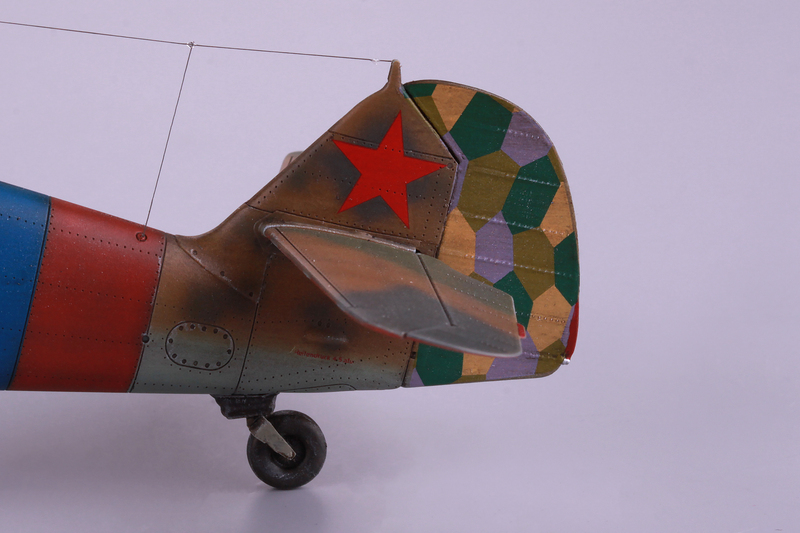 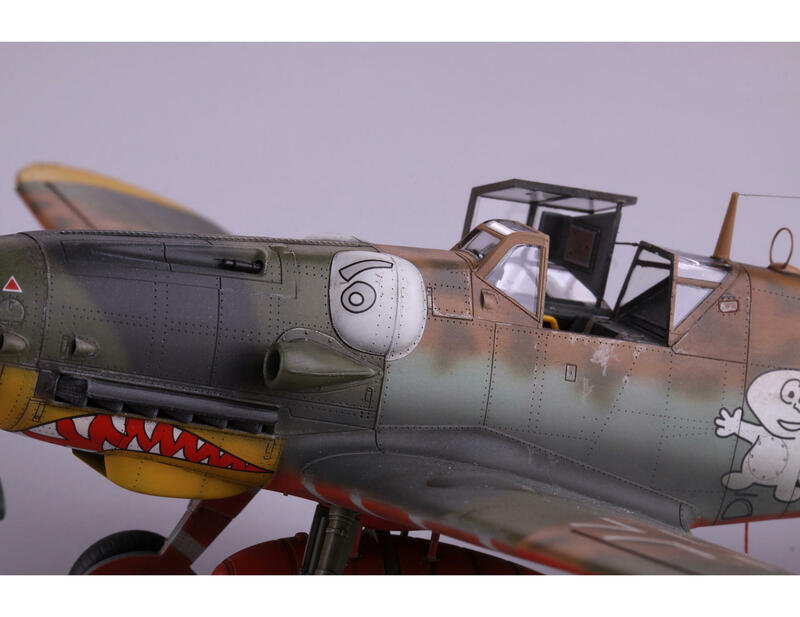 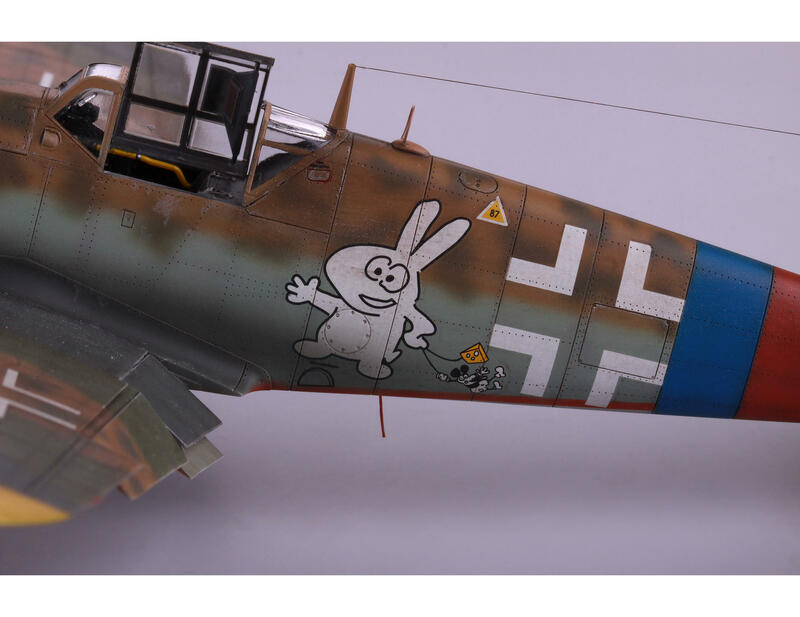 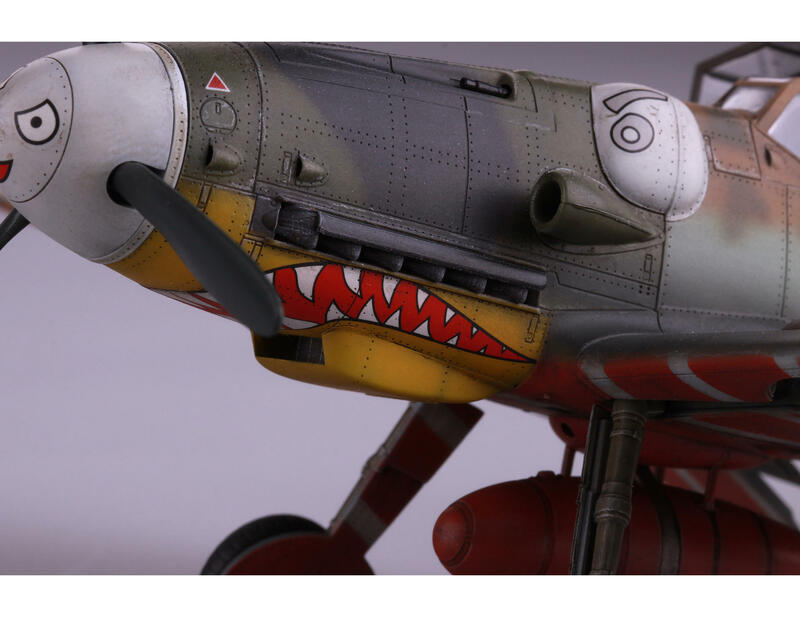 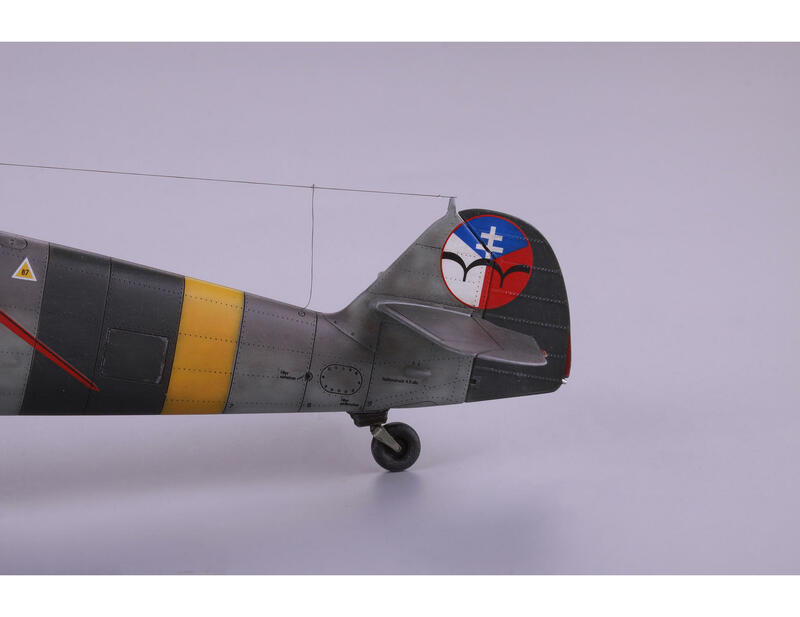 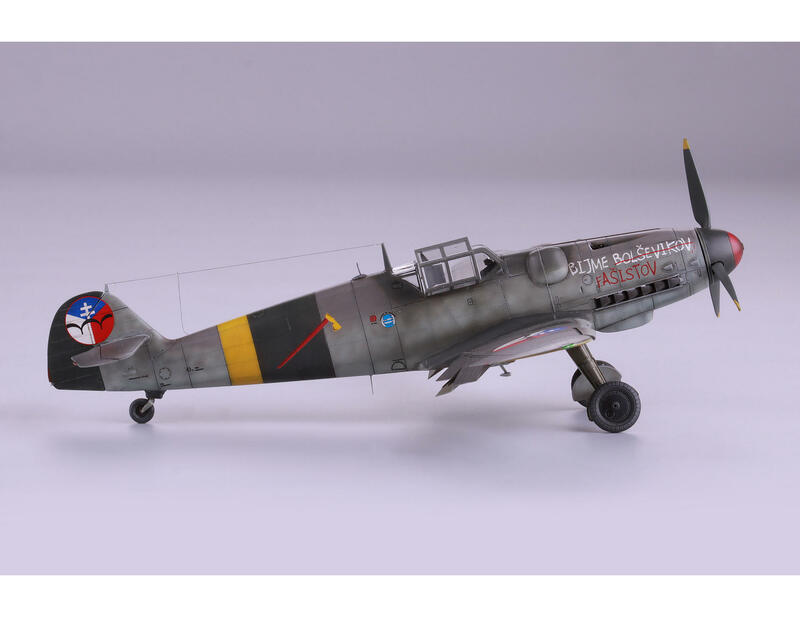 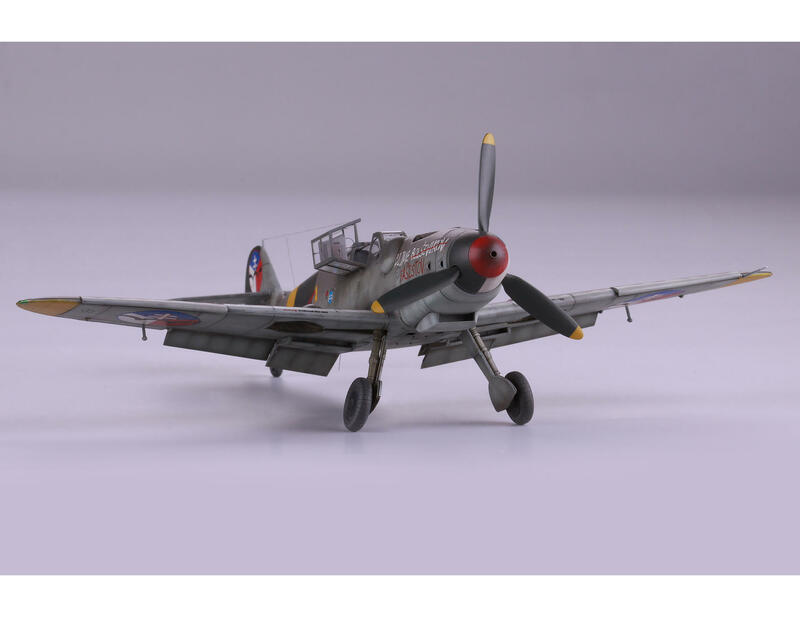 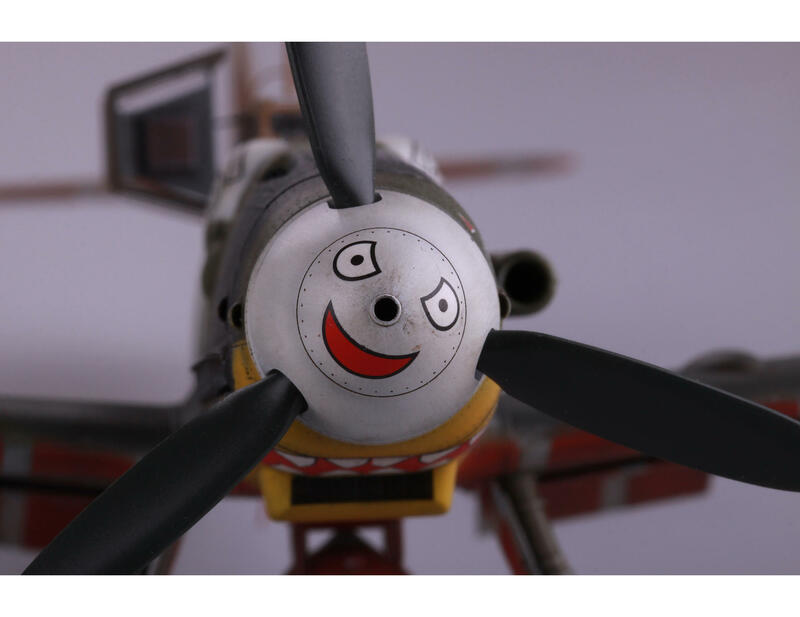 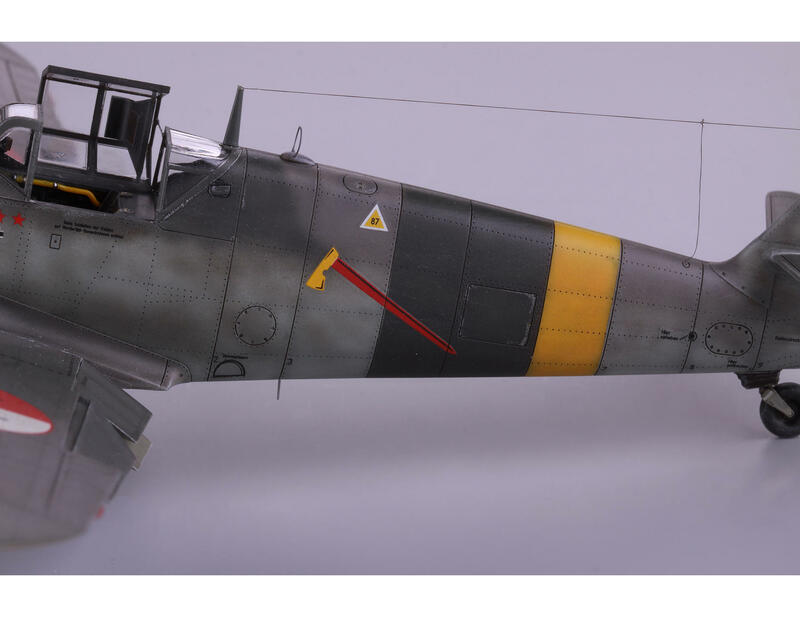 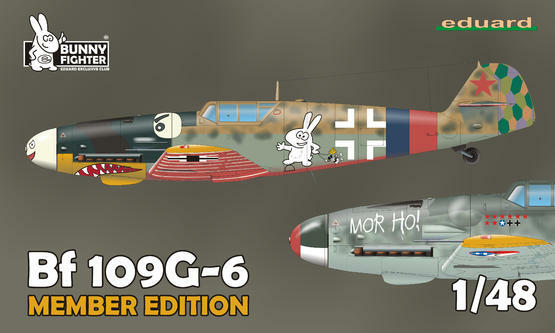 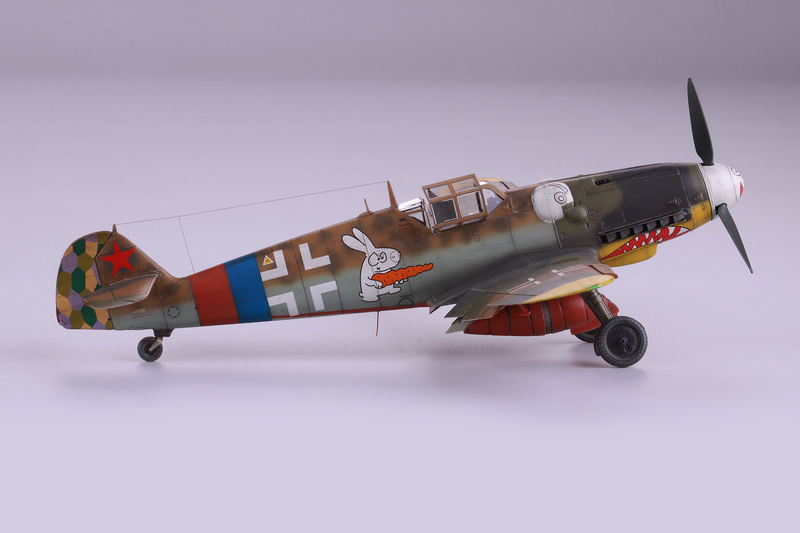 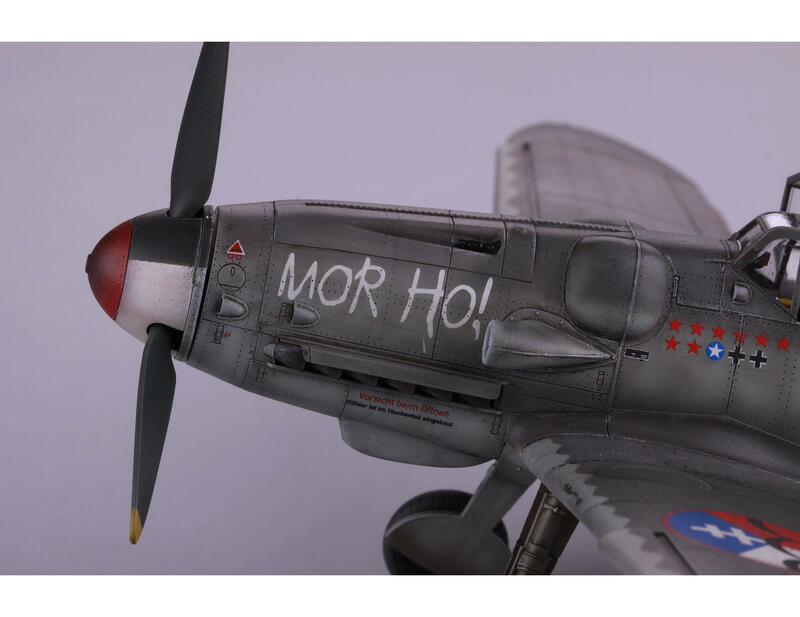 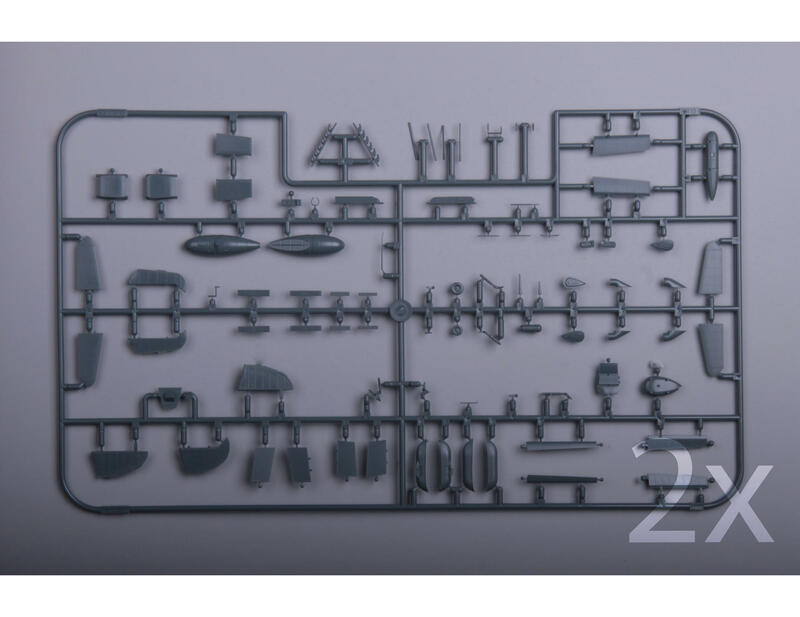 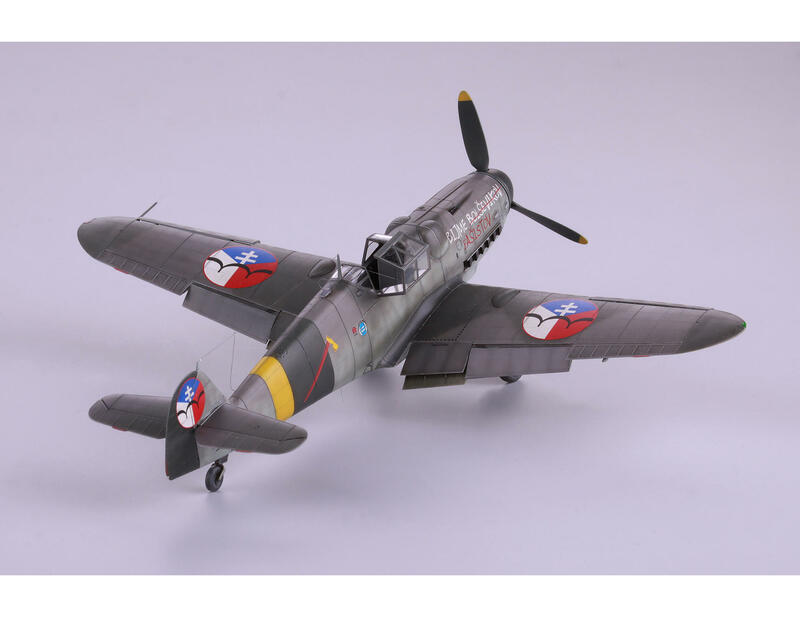 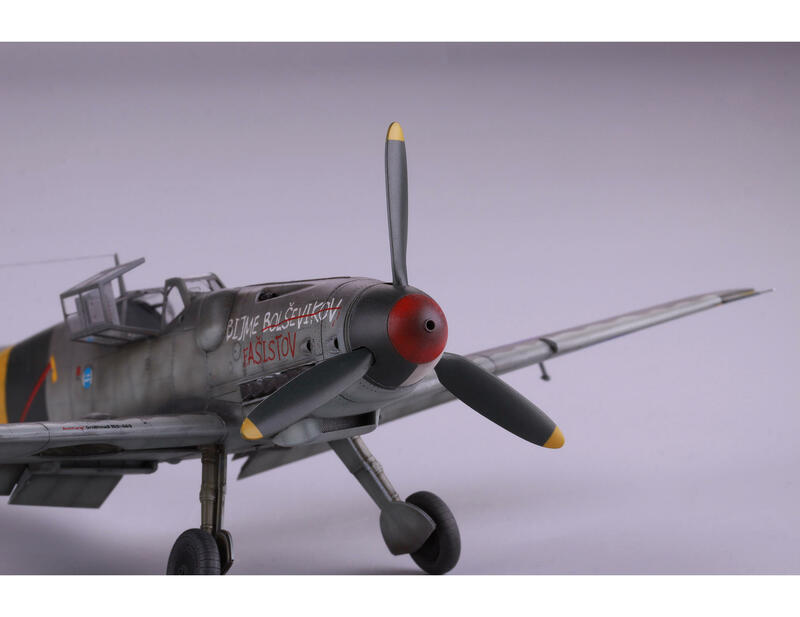 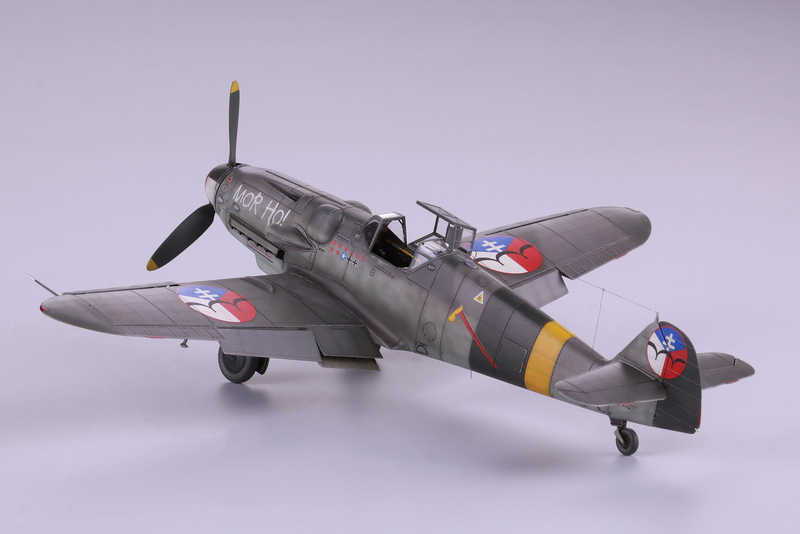 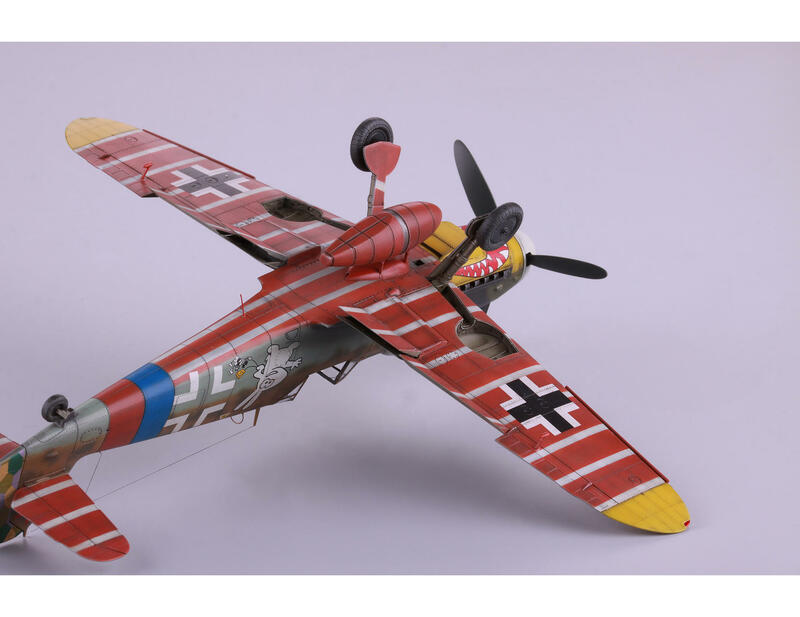 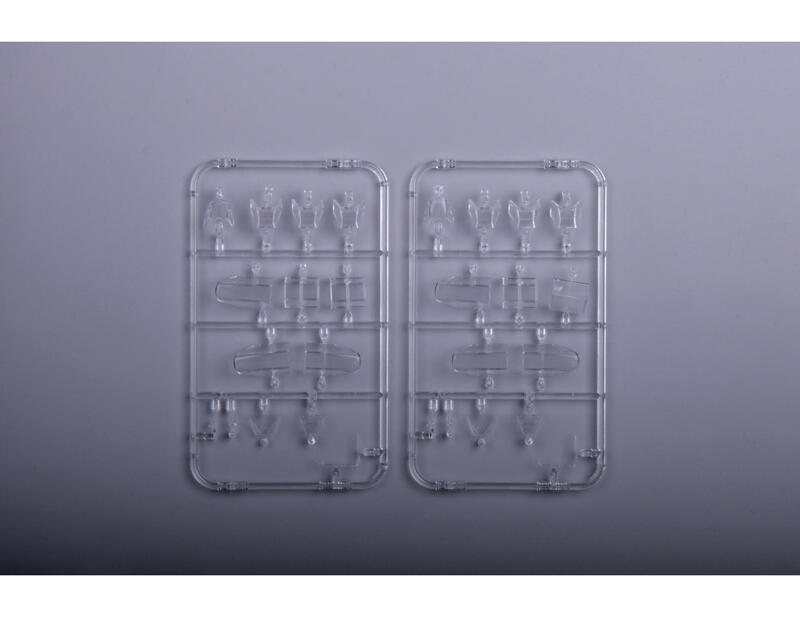 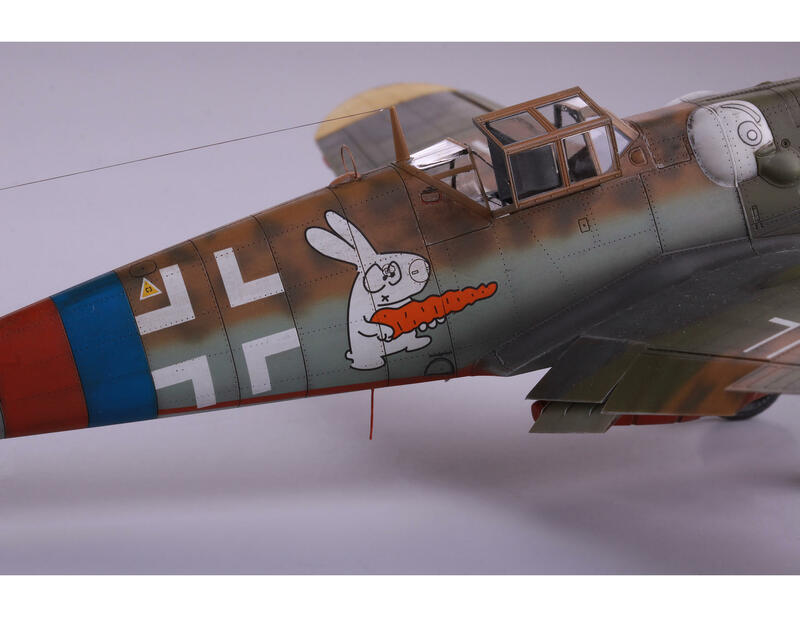 Kit contains plastic parts, PE sets and masks for two models of Bf 109G-6 in 1/48 scale. 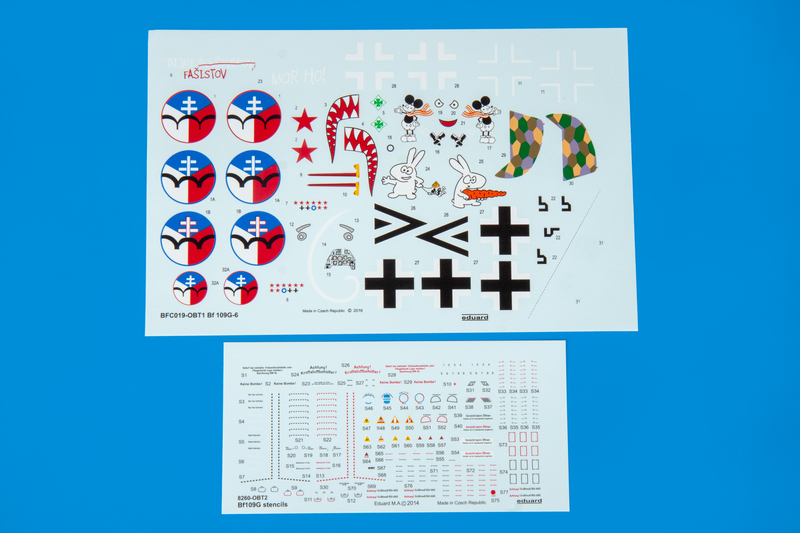 Decals for 4 markings, Brassin cockpit, propeller and wheels (one set each). 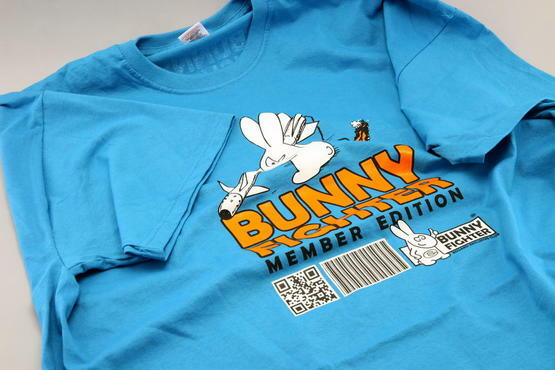 Member Edition T-shirt of selected size.